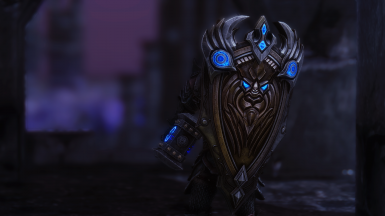 Adds a NEW, large shield based on a promotional item from the Warcraft movie. Comes in 2k and 4k resolutions. 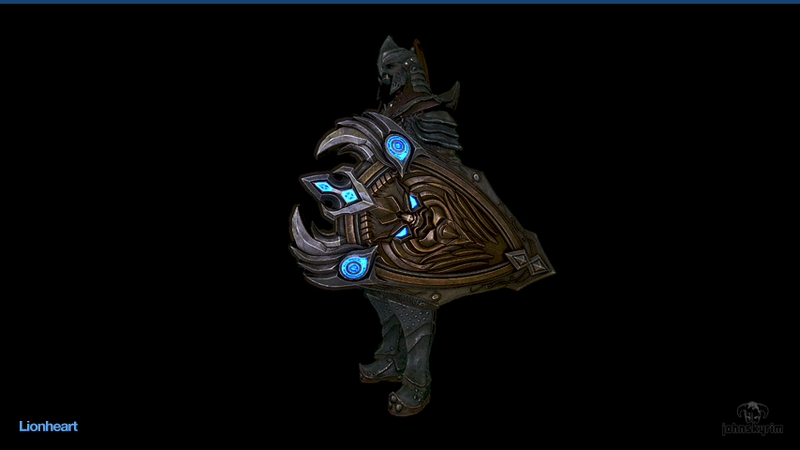 I've always felt that shields were lacking in the world of Skyrim modding and not many interesting ones are created. wanted to create something that looked visually appealing but also contributed to a tank-like play style. 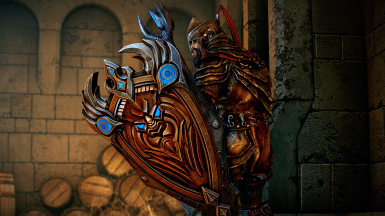 Lionheart is a big shield which you can hide behind, recuperate some health, all while tanking some enemies. 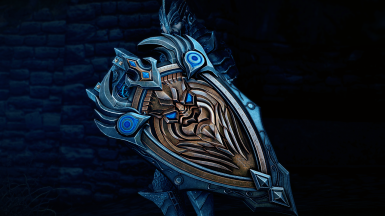 This shield would be perfect for a Warrior or Paladin character and hopefully bring its own style of play that utilises its heath restore and bashing effects to defeat enemies. 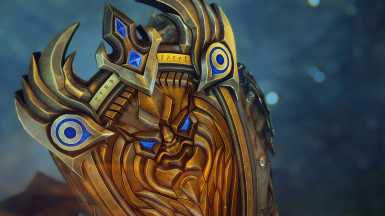 45 Armor Rating. 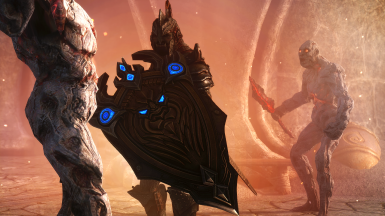 Active blocking gradually restores health, deflects arrows & reduces magical damage by 40%. 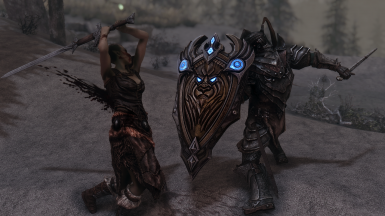 Bashing knocks down enemies. 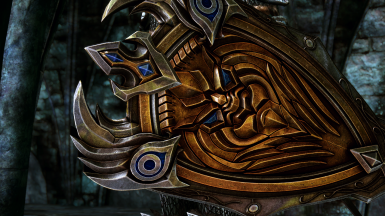 The Lionheart is smithed under the "Daedric" category. Q. Are you going to make the sword too? Q. Can you make it smaller? I can't see in first person mode! A. No. 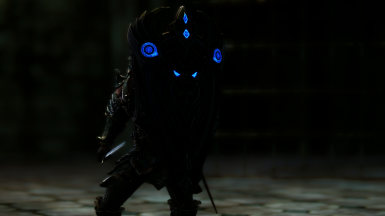 Also, you're not supposed to be able to see if you're hiding behind a shield, it defeats the purpose! Q. A Mod this beautiful should have some more elaborate method of obtaining! A. I know, but I don't have that sort of free time. Q. Can you change the size, add this this and this? A. These types of things are considered during the creation. The release version is how I intend it to be. 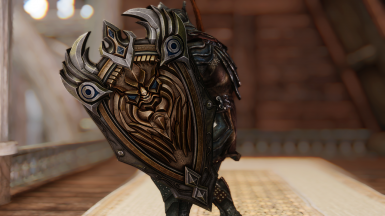 - Slight clipping with some armor types. 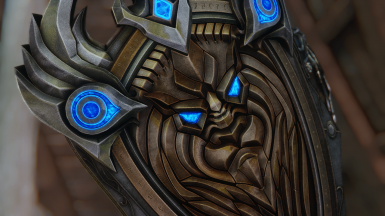 I think this goes for a lot of shields though. or any other problems, please do not hesitate to contact me. 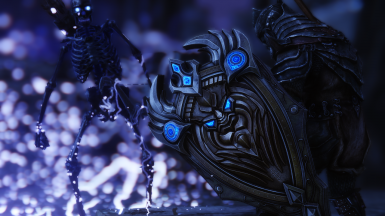 All screenshots are taken directly from the game and resized down from 1920x1080 to 1280x720. No other editing has been done. 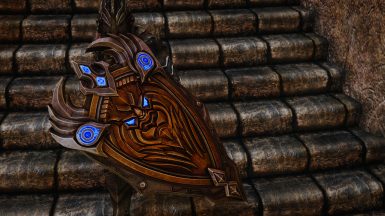 Thanks and I hope you enjoy this Skyrim Mod! 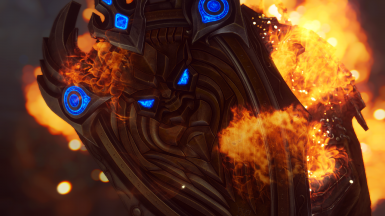 Remember, modding is stressful and we do it for free! PS. DO NOT UPLOAD THIS FILE ANYWHERE ELSE! THIS INCLUDES BETHESDAS WEBSITE!